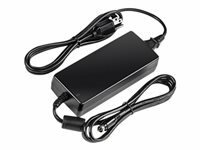 60 Watt power Provides up to 60 Watts of power for PoE devices such as switches, network cameras, and access points. 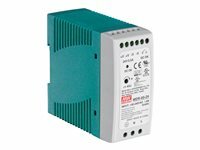 Active PFC The built-in active power factor controller helps eliminate unusable reactive power. Overload protection Overload, short circuit, over voltage, over temperature protection. Passive cooling Cooling by free air convection. DIN-rail mount IP30 rated metal enclosure with integrated DIN-rail mount. LED indicator LED indicator confirms power to the unit. 120 Watt power Provides up to 120 Watts of power for PoE devices such as switches, network cameras, and access points. 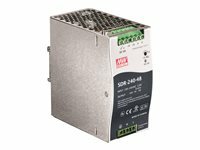 240 Watt power Provides up to 240 Watts of power for PoE devices such as switches, network cameras, and access points.